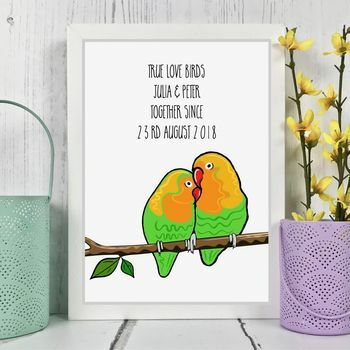 A pair of Lovebirds feature on this personalised couples print. 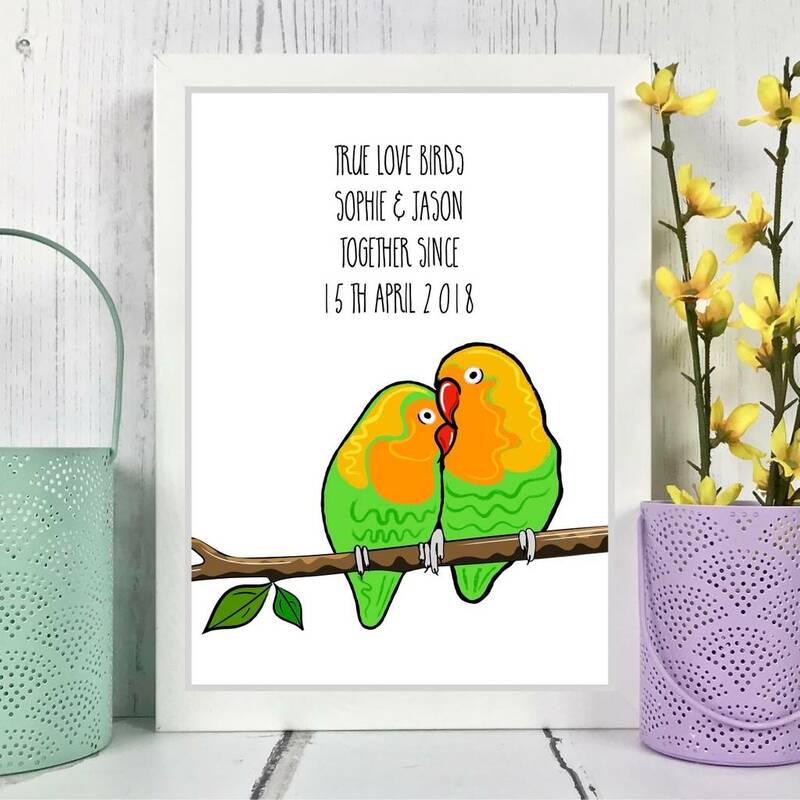 An original gift for Valentines, engagement, weddings, anniversary's or just to show you care. This beautiful print makes a cute and quirky romantic keepsake. It's available in A4 size ( 29.7x 21 cms ) so fits into a standard frame size. The picture is packed with backing board and plastic sleeve. It's delivered in a sturdy card envelope so that it will arrive to you in perfect condition.